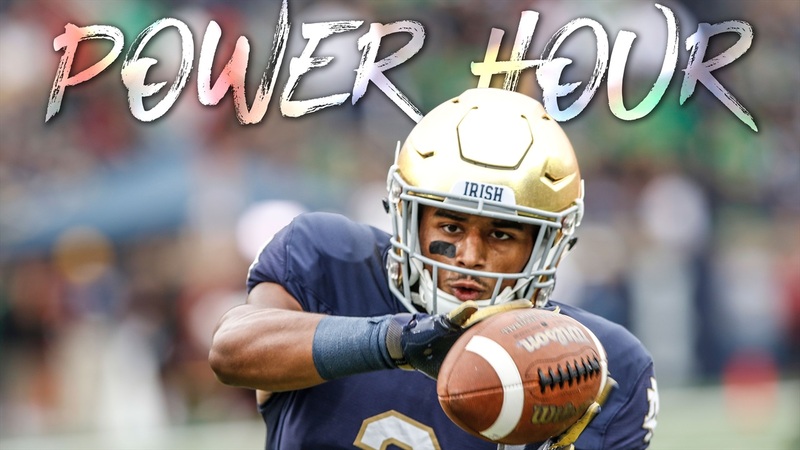 In this week's episode the Power Hour crew discuss Notre Dame's decisive victory over Florida State. What did we think of Brandon Wimbush's performance on Saturday? Who stood out up front in the running game? What did we like about ND's defense on Saturday? What do we think of Syracuse next weekend? What must ND do to beat the Orangemen next weekend? Find out the answers to these questions and more in this episode of Power Hour. If you are not a member of Pateron Overtime, now is a great time to sign up. You can get an extra 20+ minutes of Power Hour every week by signing up. This week's topics including Bill Reagan grading Brandon Wimbush's performance this week. He also offers his thoughts on if ND can beat both Syracuse and USC if Wimbush is the starter. Jamie Uyeyama discusses which offenses might give Notre Dame problems moving forward, and which defenses could give the Irish offense issues as well. Finally we discuss if ND's young coordinators would be up to the task if they had to play Alabama or Clemson in the playoff. To sign up today, click the link below and then click on the red button on the right hand side that says "become a patron." If you want to download today's episode, please click on the link below. If you want to listen to today's episode in this browser, just click on the media player below and the show will start playing.